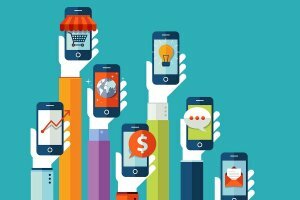 ﻿ When Does A Mobile First Strategy Actually Work? A lot of companies think that they have applied “Mobile First Strategy” to their business processes. But are they all get it right? Only few of them have implemented truly mobile first strategy. So what is mobile first strategy then? What if we tell you that this traditional definition of mobile first strategy that you have, is not actually correct as well. That the strategy you have been using for years, is not mobile first strategy. Also that if we sit and define what aspects should be given priority in the mobile first strategy, the answer is not what you have mentioned above. A mobile-first strategy includes a proper plan and proposition that decides every minute thing from the providing of infrastructure that is app friendly to making a decent application itself. That this scheme should be made to make sure the employees get a holistic atmosphere wherein they can do the work they are allocated. It’s all about Focus on User Needs (FUN) and adopting a user centric approach to mobility. BYOD or Bring Your Own Device is merely a means to even start implementing this strategy. And making an app may be important but not as important as the points mentioned below. Mobile-first business is all about…! The apps made by the enterprise are generally made for one reason in specific. Every enterprise is making an app of their own and therefore their company needs to maintain their status quo as well. In this case, the app that is supposed to help your company in growing will help no one at all. Any app should be made keeping in mind the end users only, in this case the employees and what they need help in. In short it should meet the end-users’ need. Also, the team members have at some point of time or another been the customers or commercial apps which has brilliant quality and easy to use UX/UI. When the same people use apps that does not even have a basic UX/UI, they can not make use of it and uninstall the app or let the app be in the corner of the smartphone screen. Most of the companies are adopting the BYOD (Bring Your Own Device) system. Which means that a horde of different devices will be assimilated to be used as a part of the enterprise strategy. In that case the app that is created by the company is supposed to be used in the numerous devices that the employees bring in. In turn what this means is that the app created must be one wherein every device and every OS and device is compatible. Any app has to work on Microsoft Windows, Google Android and Apple iOS and Mac OS. It’s time to forget about standardization of device and OS usage. Only if this is taken care of, can the move of enterprise mobility actually work. Enterprise mobility is all about being flexible towards the way it is used, where it is used and when it is used. It is important to know that the whole concept was created so that the company members can keep in touch with their work whenever and wherever. These days, the concept of geofencing looks laughable. Whether in the office or in the plane, the app must be able to get the job done, and that’s what really being flexible. But for this utopia to become a reality, it is the top management level personnel who need to be liberal in their ways of thinking about what work is. If they can change the way they traditionally think, then the whole of enterprise world can become fast, workaholic and mobile. 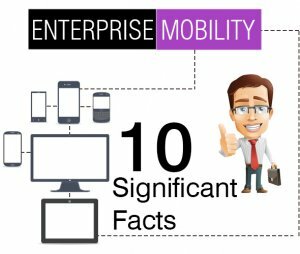 Industries still have the same thought about the true importance and extent of mobility as mentioned at the beginning of the article. It seems that mobile first strategy has been a term to flaunt while the actual meaning was hidden till now. To sum it up; Mobile First Strategy has a free and liberal thinking at its core, and then combining it with the force of technology to create a working environment that is mobile. When you are able to create an environment where all these are possible factors, you have created a mobile first strategy for your business. Still confused for the mobility strategy? Talk to us, we are more than happy to help you. This page was last edited on February 9th, 2018, at 4:16.